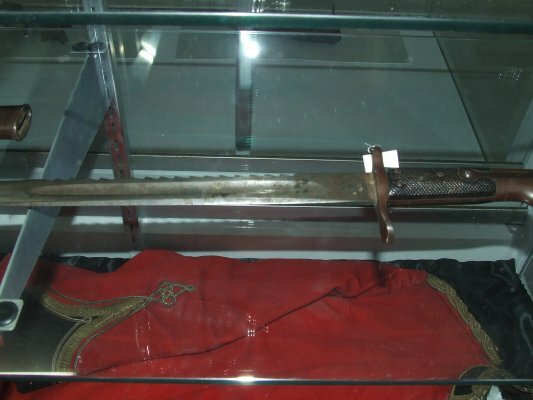 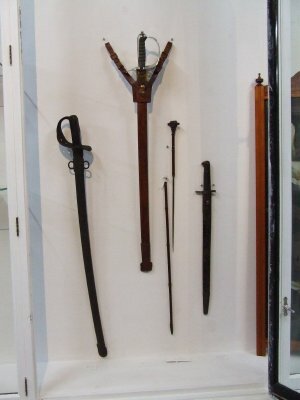 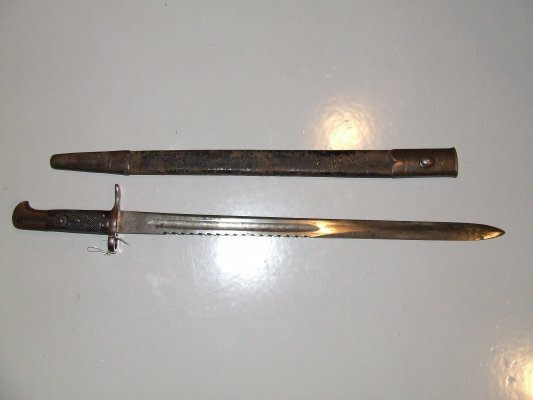 Description 1 bayonet. 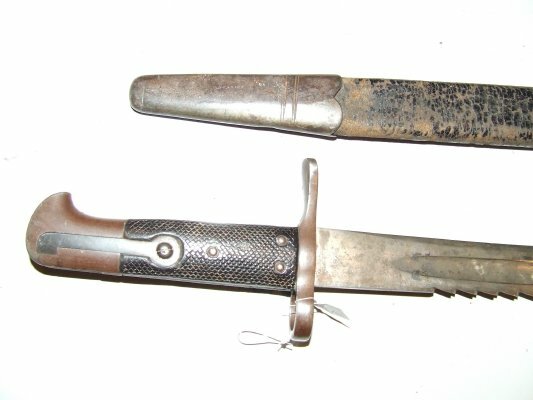 A note with the bayonet says: "This bayonet belonged to Frank Elijah Bythell (1880-1963) and was used when he was a cadet at Blenheim School circa 1894." 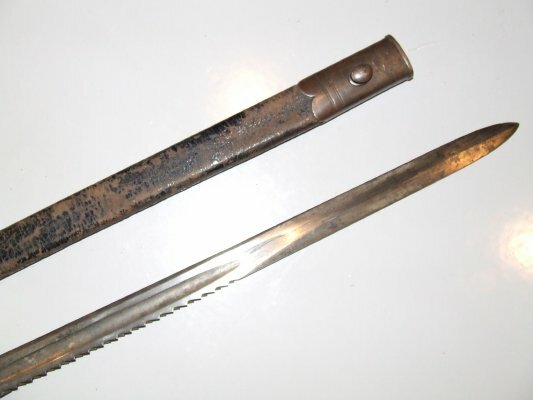 Bayonet is on the right in image 1.